Quick. Come up with reasons Art Howe should manage the Toronto Blue Jays. I have a few. The Blue Jays need a manager. 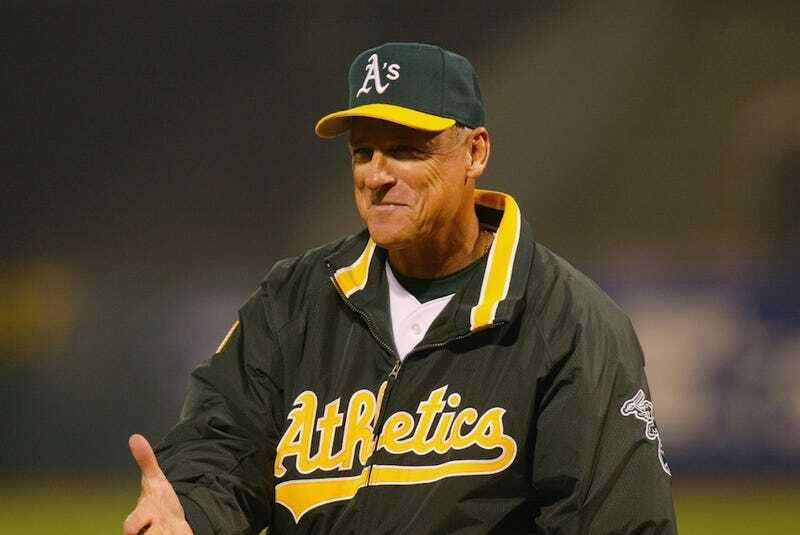 Art Howe is a manager, maybe even a good one—he has a career 1129-1137 record, which isn't so bad given that he spent time running the Mets, A's, and Astros, three franchises with historical losing records. One might also believe that Howe seems like a decent man who needn't be faulted for the unpleasant reality that his last boss was Jeff Wilpon. You could even think that the manager's gig is a largely symbolic media-relations position that generally has little to do with whether a team wins or loses, and, as such, should go, as gifts of mercy, to those with the necessary credentials who are closest to senescence. (Howe is 65.) These are all reasons to hire Art Howe, or reasons not to not hire Art Howe, anyway. Maybe you've heard of Art Howe? He managed Billy Beane's Oakland A's in the Moneyball era. Art Howe in person is not the same guy portrayed in the movie, that rolly polly, grumpy guy. "In the movie I never smiled once," a smiling Howe, who stands 6-foot-2 and weighs 185 pounds, said the other day at the Denver airport. "In the movie I was always grumpy, me against Billy," said Howe. "It was like the team won despite me in the movie." "Physically the actor didn't resemble me," Howe said. "He was a little on the heavy side. The way he portrayed me was very disappointing, probably 180 degrees from what I really am." This complaint has been voiced before (oddly enough, by Yogi Berra), but apparently you fatasses have fat lining your ear canals and missed it. Art Howe is a lean, mean managin' machine, OK? You know who's fat? Matt Williams is fat. And the guy never smiles. Too busy licking barbecue sauce off his frown.